It started simply enough. A sheep worrier – not common, and yet not uncommon in the Welsh countryside. The shadow of a black dog, lost or gone rogue, who endangers the sheep – the life’s blood of the Shropshire farmer. Nerys and Bryn’s son, John, has been worried. And he has been dreaming. Dreaming of the black dog. And now? Now, John hasn’t come home. When Aidan Morgan, neighbor and family friend, goes out to search for John, he thinks that John is simply out searching for the worrier. But when he finds John’s Border Collie, Nan, tied to a gate and hysterical, he knows things are wrong. Very, very wrong. And what he finds is more horrible than he could have possibly believed. The story line is laid out in the blurb, which is sort of a downer as I feel it gives a bit too much away, but I am still happy that I finally found the book in my huge collection and was able to read it. Yes, I was supposed to get the review done quite some time ago – life happened, but I have read it – and will read it again. It is lyrical, as I stated before, and that always draws me in. The characters are well written, the story is a good start, and the landscape of mid-Wales drew me in until I could nearly smell the air. 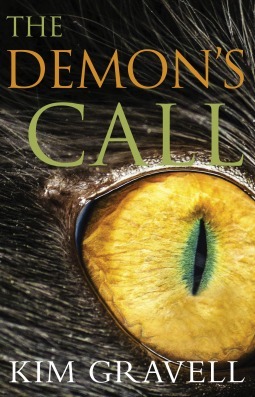 Overall, this is a lovely book filled with myth and mystery, terror and magic. Well worth your valuable reading time. I am sure I owe Kim Gravell an apology. I seem to have had this book for quite a while, and no doubt received it from her for review, as it is a proof version. My apologies, and I thank you for providing The Demon’s Call to me for review. I hope late is better than never! I found this little gem in my Bookbasset e-mail today. I love free and low-cost book e-mails! so they turn to Allie McCarthy, occult bookstore owner, to help them understand the ritual behind the murders. Allie wants to help but solving murders isn’t her forte – old, rare books are what she knows best. Unfortunately for her it seems that a book might be at the center of it all, and she is the key to catching someone who definitely doesn’t want to be caught. Things get complicated as Allie finds herself caught between the police – human and elven – and her friends, looking for a book she isn’t sure exists, and trying to put the pieces together as quickly as she can. Add in romance, an out-of-control magical gift, two strangers willing to do anything to find the same book, and dark magic that might destroy both worlds and Allie’s in way over her head. Cruising Morgan Daimler’s info in various places, I found the following info about her. I am looking forward to reading this book, but her others sound fascinating as well. My name is Morgan Daimler. I have been a witch since 1991, an Irish reconstructionist since about 1994, and heathen since 2006. I like to write poetry and recently ventured into writing fiction which I enjoy. I have had my poetry and prose published in different places including 7 anthologies, Circle magazine, Witches and Pagans magazine and the CR journal Air n-Aithesc. I am the author of the book By Land, Sea, and Sky, and the urban fantasy series Between the Worlds. Through Spero Publishing I have the children’s book a Child’s Eye View of the Fairy Faith.Through Moon Books I have Where the Hawthorn Grows, Fairy Witchcraft, and Pagan Portals: the Morrigan. Penguin Publishing Group presents READ PINK®—our fifth year dedicated to the fight against breast cancer—with a $25,000* donation to The Breast Cancer Research Foundation® (BCRF). There are some great Romance titles on offer – check it out, and donate to the Cause!!! As a survivor, I appreciate it! 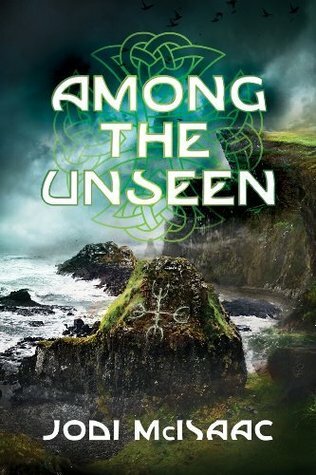 Among the Unseen is the third and final volume in Jodi McIsaac’s “The Thin Veil” Series. The series is billed as ‘contemporary fantasy’ and McIsaac does a marvelous job of blending not only fantasy, but also concepts and ideals that are reflected in today’s modern world. War and the destruction of beauty. Whole countries laid to waste, ravished, and left destitute and uncultivated, unable to support life. Through the first two books in the series, Cedar McLeod, her daughter Eden, and a small group of Sidhe have fought to regain the lands of Tír na nÓg. The lands are finally regained, with all in their proper place. 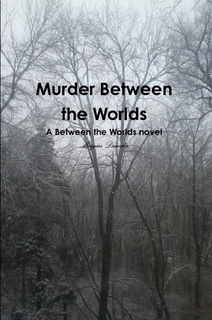 But things are far from safe, as Cedar is betrayed by one she considered family. Now in her proper place as queen, Cedar must help restore her new country, while still missing her family, friends and life back on Earth. And the problems don’t stop coming, as disease spreads, and Eden is less safe than Cedar had thought. Among the Unseen is a beautifully crafted book, as were the others in the series. Filled with well-crafted and well-researched fantasy lore, McIsaac weaves modern life through a story filled with light and darkness, pain and love in equal measure. This series is highly recommended for any lover of contemporary fantasy – especially if you are a purist who is educated in mythology. I loved the whole series. I grew up in New Brunswick, Canada. After stints as a short-track speed skater, a speechwriter, and fundraising and marketing executive in the nonprofit sector, I started a boutique copywriting agency and began writing novels in the wee hours of the morning. I currently live with my husband and two feisty daughters in Calgary, Alberta. I love to connect with readers, so come say hello on Facebook, Twitter, or Goodreads! I received this book from the publisher, 47North, in return for a realistic review. All thoughts are my own and are not influenced by this fact. If you enjoyed my review, please click “This review was helpful” at Amazon.com. Thank you! Click to purchase the book, and to learn more about Jodi McIsaac. Highly Recommended! Millennia. Millennia beyond counting, the Tuatha De Danann graced the lands of Tír na nÓg. Tír na nÓg, where fields of flowers . . . caress those who walked past, waterfalls of crystal nectar, trees that sang and danced and hung heavy with fruit. . . And yet, though they despise the humans that drove them from Ériu and back to the lands of Tuatha De Danann, the lands of plenty and peace. And yet, even the Tuatha De Danann are not immune to war. And war there is, a war of hatred and greed, a war led by a psychopath. For sometimes, living forever is dangerous in the extreme. Long years of thought, of jealousy and avarice, and bitter blackness of the heart. Those who are undying can be killed – and the slaughter is beyond comprehension. Many years later, we meet Cedar McLeod as she enjoys a busker fair with her beloved Finn, her boyfriend of two years, and the love of her life. Having a wonderful time with Finn, she is also excited for another reason – for she has a secret, of the baby sort, and she is trying to find the right moment to tell him during this wonderful day. Just as she begins to impart her news, however, Finn suddenly tenses up, then rushes Cedar to her apartment and leaves. The next morning, Cedar walks into Finn’s apartment only to discover it empty and he is gone without a trace . . . Forward seven years, and though Cedar is an exhausted, overworked single mother, she has her own mother for support and a deep and abiding love for her daughter, Eden. Oh, yes, it is hard to look upon her sweet face at times, for Eden is the spitting image of her father. But her great love for her child lays all those pains aside, to be pulled out only in the dark of the night, alone in her bed. Life isn’t wonderful, but with Eden’s presence, life is good. But things are about to change. For Eden is more than she seems. So very, very much more. A single open door will send Eden and Cedar on a terrifying slide into horror and despair, as the teachings of Cedar’s mother, to not ever tell Eden of her father, push a child to make a devastating error – an error which will cost lives, and lead Cedar and Eden on a trip across seas, and across time and space, in a desperate bid to return Eden home. Through the Door is a modern day urban fantasy of the very best kind. Filled with fantasy creatures, of course, this isn’t just a fantasy. It has deeply embedded strands of thriller and suspense, mystery and terror that step this up from just fantasy to something so much more. War and death, psychopathy and greed, power and politics play a strong role, for even the gods themselves are not perfect. Add to that the fact that Jodi McIsaac has done a stunning job of research into the world of Tír na nÓg and the Tuatha De Danann, and the writing itself is beautifully done, and this is a highly recommended read. And don’t forget – the final book of the trilogy is out! That means that you can sit down and read all three straight through – how awesome is THAT? Click to go to Jodi’s site!